The Republic Day of 2011 was one of the finest days in Chanda Kochhar's life. The banker was awarded the Padma Bhushan, the third highest civilian honour in the country. This year, however, the day was nothing short of a nightmare. On January 24, two days before the Republic Day, the CBI booked her on charges of criminal conspiracy, cheating and abuse of official position. Six days later, the Srikrishna committee, which was tasked with investigating the allegations against her, said Kochhar, who was managing director and CEO of ICICI Bank till October 4, 2018, violated the bank's code of conduct. 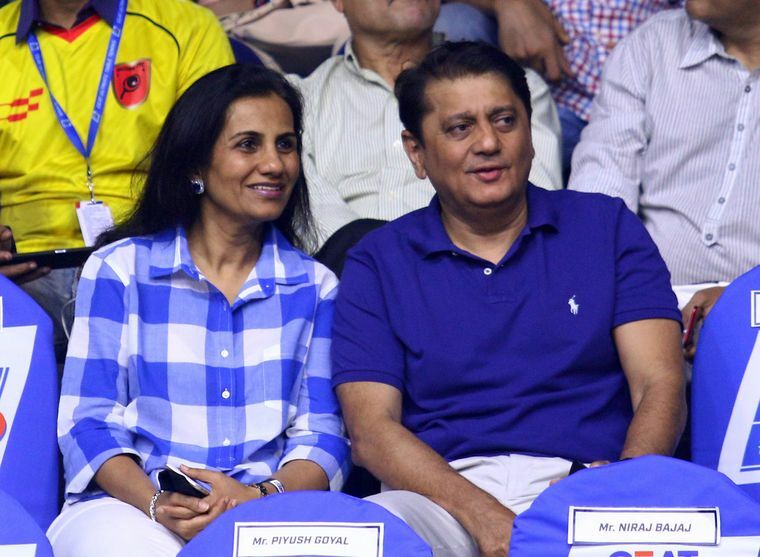 At the centre of Kochhar's downfall is an allegation of quid pro quo and conflict of interest that involves her husband, Deepak, and Videocon Group’s promoter Venugopal Dhoot. The matter first came to light in 2016, when Arvind Gupta, an investor, wrote to Prime Minister Narendra Modi, the finance ministry and Reserve Bank of India governor Raghuram Rajan, exposing the dealings between the bank and Videocon Group. Gupta alleged that Dhoot invested in Deepak's firm NuPower Renewables in 2008. And, in 2012, Dhoot transferred the ownership of the company to a trust owned by Deepak, a few months after ICICI Bank sanctioned loans to Videocon Group. The bank initially dismissed Gupta’s allegations and strongly backed Kochhar. However, as more allegations of quid pro quo deals were levelled in June 2018, a committee under retired Supreme Court judge B.N. Srikrishna was appointed to probe them and Kochhar was sent on leave. She quit on October 4. The Srikrishna committee report was tabled before the bank's board of directors on January 30. The bank has said that it would revoke Kochhar's existing entitlements, including any unpaid bonuses or increments, unvested and vested and unexercised stock options and medical benefits. It would also claw back all bonuses that were paid between April 2009 and March 2018. Kochhar’s troubles do not end there. The CBI's first information report has named her and Deepak along with Dhoot, Videocon International Electronics (VIEL), Videocon Industries, NuPower Renewables (NRL), Supreme Energy (SEPL) and a few other unknown entities. The allegation in the FIR is that ICICI Bank sanctioned credit facilities of about Rs3,250 crore to Trend Electronics, Century Appliances, Kail Ltd, Value Industries and Evan Fraser & Co, all belonging to Videocon Group, violating the Banking Regulation Act, RBI guidelines and the credit policy of the bank. “On September 8, 2009, Dhoot transferred an amount of Rs64 crore to NRL managed by Deepak Kochhar from Videocon Industries, through his company SEPL. This was the first major capital received by NRL to acquire its first power plant. Thus, Chanda Kochhar got illegal gratification/undue benefit through her husband from Videocon Industries/Dhoot for sanctioning RTL of Rs300 crore to VIEL,” said the FIR. Kochhar did not respond to the messages and a set of questions sent to her by THE WEEK. Interestingly, the CBI’s allegations are in contrast to what ICICI Bank said last year when it supported Kochhar. The bank had said that it was only a part of a consortium of 20 banks and financial institutions that lent to Videocon Group for a debt consolidation programme. ICICI Bank was not the lead bank for the consortium and Kochhar had not chaired the credit committee that sanctioned the loans, said the bank. In a regulatory filing on October 23, 2018, ICICI Bank said that it earlier backed Kochhar because an inquiry report by a law firm in December 2016 had found no evidence of nepotism and conflict of interest on her part. After the fresh allegations surfaced, however, the law firm clarified that the earlier report was no longer valid, said the bank. 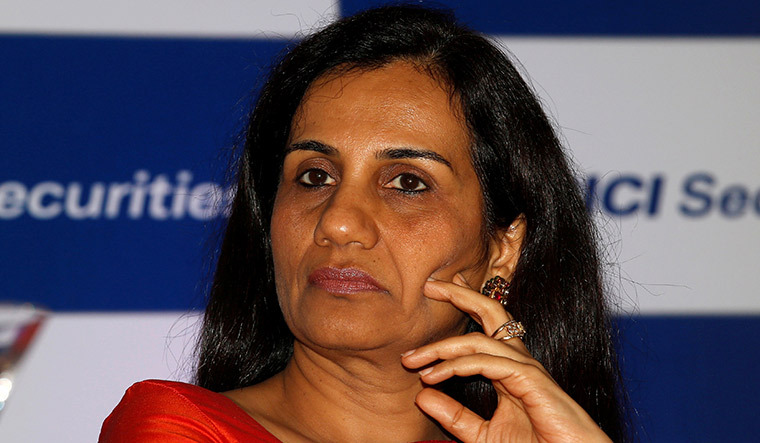 Responding to THE WEEK's questions, ICICI Bank said Kochhar informed the bank about her family's business dealings with Dhoot only in April 2018. Later, the bank received an anonymous whistle-blower complaint. “In light of this, the board in May 2018 decided that an independent enquiry into this matter should be done,” said the spokesperson. The FIR also mentions various other loans, amounting to Rs1,575 crore, given by ICICI to Videocon, which were sanctioned in violation of the bank’s credit policy. The agency says these loans were sanctioned on various occasions by various committees that included senior officials of the bank, namely Sandeep Bakhshi (currently MD and CEO of the bank), K. Ramkumar, Sonjoy Chatterjee (currently CEO of Goldman Sachs India), N.S. Kannan (currently MD and CEO of ICICI Prudential Life Insurance), Zarin Daruwala (currently CEO of Standard Chartered Bank India), Rajiv Sabharwal (currently CEO of Tata Capital), K.V. Kamath (former chairman of ICICI) and Homi Khusrokhan. The loans given to Videocon were declared non-performing assets in 2017. Corporate governance experts have questioned the way the ICICI Bank board handled the entire matter. “Kochhar might not have disclosed the relationship with Videocon and that has been established by the Srikrishna committee report,” said Shriram Subramanian, founder and MD of InGovern Research Services. However, he said, the board “must be held more accountable” for its decision to back her just a year ago. The matter is likely to head to court. Kochhar is learnt to have hired lawyer Somasekhar Sundaresan, former head of securities law and financial sector regulatory practice at J. Sagar Associates. Sundaresan did not respond to messages from THE WEEK. Corporate lawyer Mohana Nair, who specialises in banking, company and intellectual property laws, said it would be difficult for Kochhar to defend herself given the findings of the Srikrishna committee. Also, the CBI could file a charge-sheet based on the findings of the report. “Justice Srikrishna has a good reputation. He is above any board. So the ICICI Bank board had to act and go back on its earlier stand. Kochhar will have to launch her defence in court. But, it will be difficult to prove there were no gains given the findings of the report,” said Nair. The corporate governance issues seem to have eclipsed ICICI Bank’s financial performance. In the quarter that ended in December, the bank's net profit slipped 3 per cent year-on-year to Rs1,605 crore owing to higher provisioning. Total income for the quarter, however, rose 20 per cent, and its gross non-performing assets have fallen to 7.75 per cent at the end of December, from 8.54 per cent at the end of September 2018. Its slippages were also the lowest in the past 14 quarters.